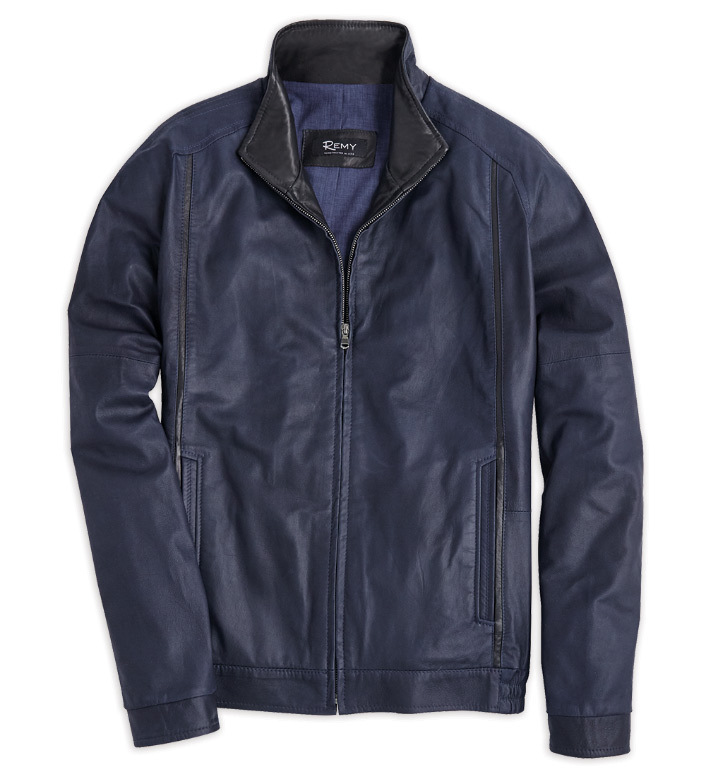 Handmade in USA of 100% lambskin leather: soft, supple and lightweight. Comfortable fit, zip front, stand-up collar, black contrast detail vertical stripes down front & back, welt pockets, snap cuffs, full lining, banded waist with elastic sides. Professional leather clean.